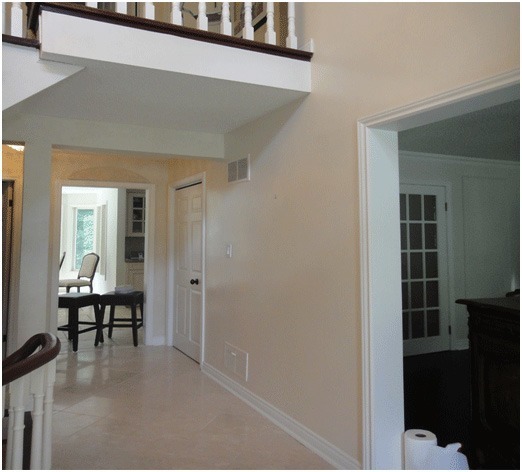 Platinum Pro Painters is an Oakville Ontario residential and commercial painting company that employs experienced residential and commercial painters. When you hire Platinum Pro Painters as your house painting company, you’ll know that the interior painters you hired are experienced professionals and will complete your project in a timely and professional manner. Our Oakville Ontario business house painters have painted businesses like Guess Clothing and Midas Breaks. Platinum Pro Painters strives always to do their best and to satisfy their customers with impeccable customer service in all aspects of their decorating contracts. We will not be satisfied until you are. We’re also an experienced Oakville crown molding painting company. If you have been waiting to paint your crown molding now is the time to call an Oakville Ontario industrial painting company. Don’t forget about your garage floors. Epoxy coating is the modern material to coat your garage floor to eliminate dust and dirt which tracks into your home. Call and ask our experts about this exciting new material today. Painting crown moulding is an intricate process that takes time and patience. We know that your busy schedule doesn’t always allow for such time and patience to be spent on residential painting the ins and outs of your crown moulding. Instead, call Platinum Pro Painters and let us paint your crown moulding for you. We welcome you to check out all of the interior and exterior painting services we offer as well as our warranties, policies and list of past clients on our beautiful website. We are the house painter that has it all! Over time the vibrant colours of your ceiling will become dull and faded, even more so than painted walls. Whether you’re a long time resident or recently moved to Oakville, take ceiling painting off your to do list with the help of painting professionals from Platinum Pro Painters. Few people have time for painting ceilings and Oakville residents are not an exception. Platinum Pro Painters can paint any type of ceiling from flat to popcorn, corrugated to textured. Oakville and the GTA are full of beautiful homes, why stop painting once the walls are finished. Looking for professional crown moulding installers in Oakville? Look no further than Platinum Pro Painters. Choose the style you love. We prep, paint, and install crown moulding. Oakville’s Platinum Pro Painters are house painting experts, but we’re also your professional crown moulding installers in Oakville. Whether you have a large dining room in need of ambiance, or a nursery that needs a little softening, crown moulding is a wonderful addition to any room in the house. Crown moulding gracefully flares out, finishing the top edges of walls and cabinets creating architectural balance with smooth transitions between walls and ceilings. Affordably improve your home in Oakville with crown moulding installation from Platinum Pro. If you find yourself with any questions related painting in Oakville, please don’t hesitate to contact us. We welcome all questions and hope to hear from you soon!